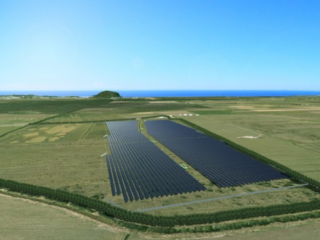 Construction has started at the Sunshine Coast on what will be Australia’s largest council-owned solar farm, and the fifth largest in the country overall. Located at Valdora the farm will cover over 24 hectares and generate 15,000 kilowatts of electricity at peak performance. Intended to save the Sunshine Coast Council money in the long term, the installation will offset all of the organisations electricity consumption across its administration buildings, performance venue, swimming pools, community centres, holiday parks, art galleries, sport facilities and libraries – and still give energy back to the grid. We think it’s great to see Queensland taking the lead in renewable energy initiatives like this, we’d like to see more!